Here we have it, the final part of my 'one twoosie, three ways' series! 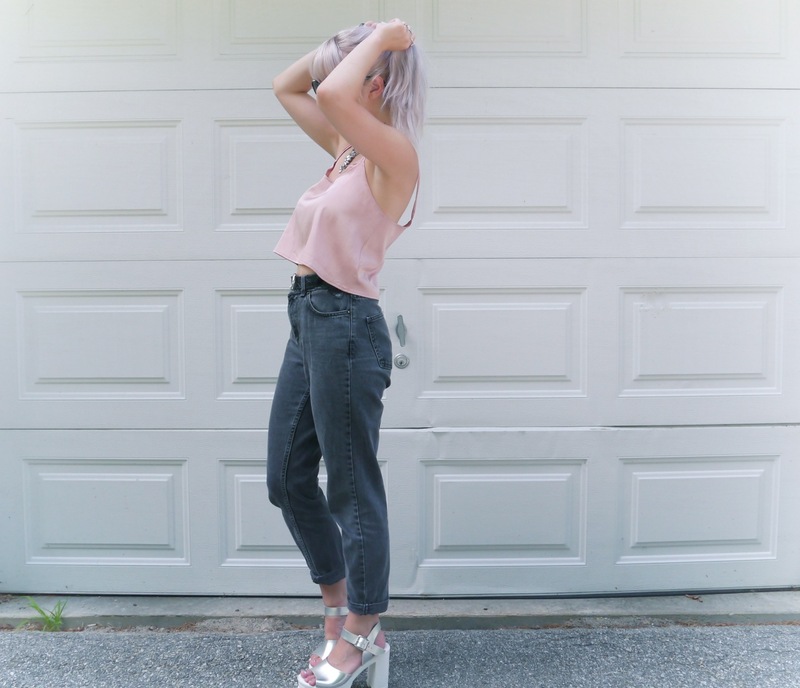 This is more of a comfy and casual look, with the mom jeans offsetting the satin cami and sophisticated sunnies. I've been fairly busy recently, I can't quite believe it but in less than 2 weeks I'm moving out and going to university in central London…it's crazy and I'm filled with mixed emotions of excitement and utter dread. Hopefully it will be everything I want it to be. Love this top, I have a similar one from asos and think the shape is gorgeous, it goes with everything! The sunglasses are really cool. Just started following you on BlogLovin'....sick style! Really loving the styling in this post! Super classy yet super cool! Jeans & shoes : MAJOR CRUSH !